We’re quickly approaching the holiday season. It’s the time of year when we make a lot of recipes that call for using cans of condensed cream of chicken and cream of mushroom soups. There are two reasons that I do not like to use the canned stuff. One is that making it fresh tastes so much better. And having control over the ingredients means that I can make the soups gluten free. I have family members with celiac disease, and they cannot eat the canned soups. There are gluten free alternatives available, but they are over $3.00 per can. For one can of soup. I provided the cream of chicken soup recipe previously. You can see it here. This takes a little work, but I think you will find that it is worth it. It makes a great little soup to eat on its own, and it makes a great substitute for the stuff in a can. I use this to make my version of Green Bean Casserole, and it really makes this holiday favorite stand out! 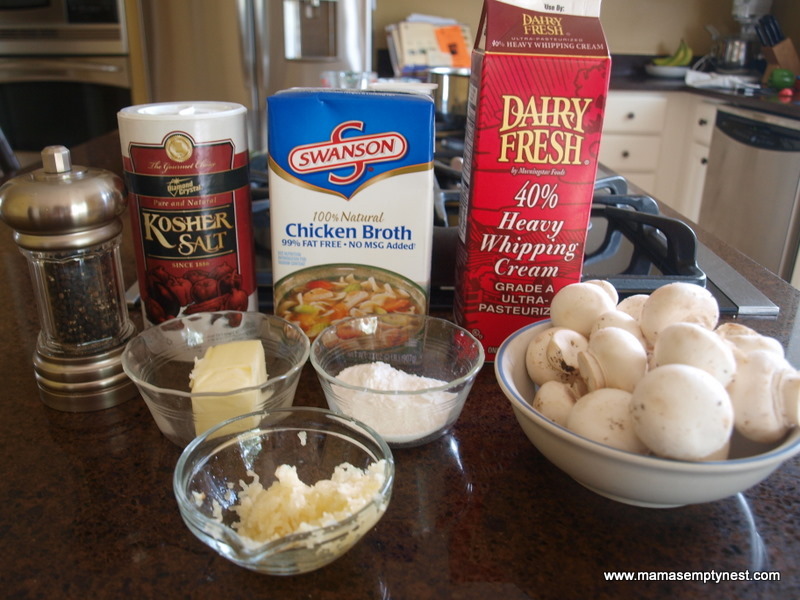 Cream of Mushroom Soup ingredients. I use crimini (baby portabella) mushrooms most of the time, but the white button mushrooms work just fine. I used the white button mushrooms this time because they were on sale. The baby bellas were three times as expensive so the decision to use the white button mushrooms was an easy one. If you do not have to worry about making this gluten free, you may use all-purpose flour rather than rice flour. Just make sure to cook for a full minute after adding it to ensure that the soup does not end up tasting pasty. Finally, do not use fat free milk or half & half or the soup will not thicken. After cleaning the mushrooms, remove and discard the stems. Tear up the mushrooms into little pieces using your fingers. You may also slice them with a knife, but tearing them up makes this much more interesting. Melt the butter in a skillet over medium heat. Add the garlic and mushrooms and sauté for about 6 minutes or until the mushrooms are tender and have exuded all of their juices. After 6 minutes, add the flour, sauté, and stir for another minute. Add the stock slowly, stirring often, and bring to a simmer. Add the milk, half & half, or cream slowly while stirring constantly. Bring to a simmer. 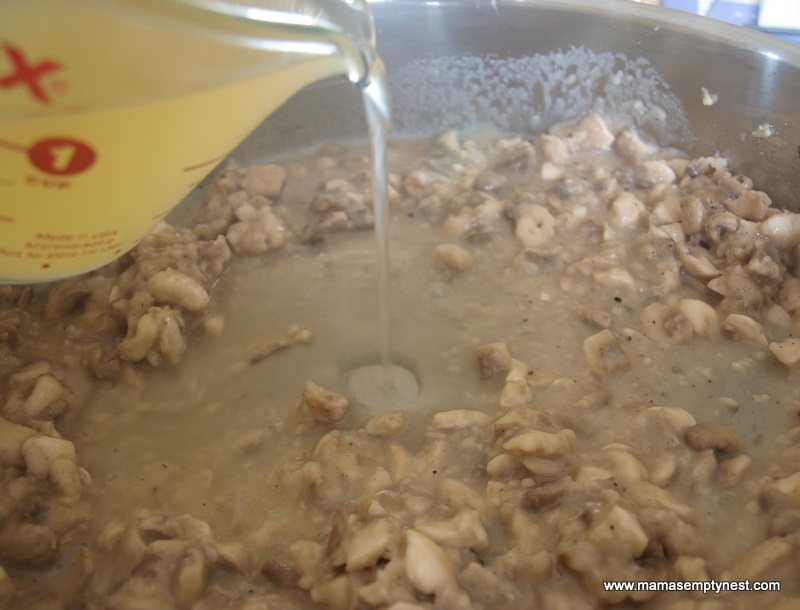 Simmer for 10 to 15 minutes until thickened, stirring frequently. 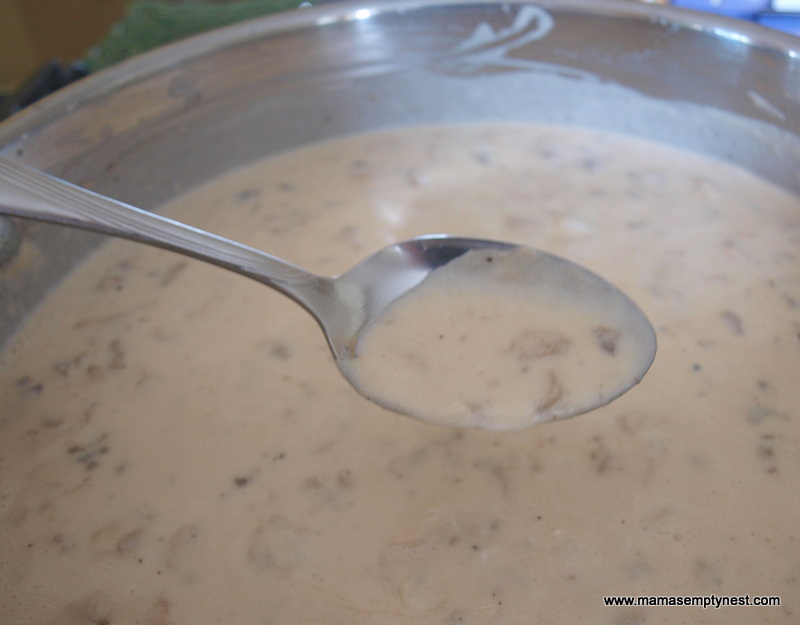 Cream of mushroom soup – ready to serve or use in your favorite recipe calling for a can of condensed cream of mushroom soup. 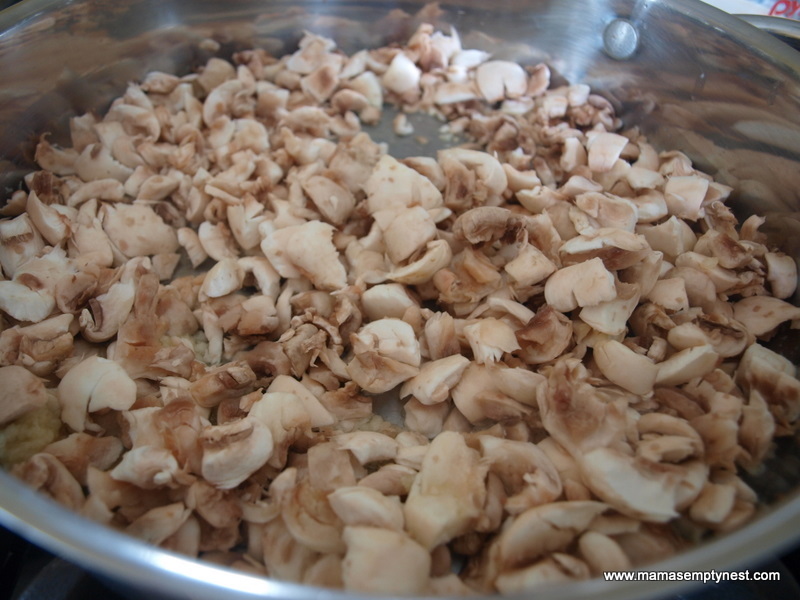 Clean the mushrooms, remove and discard the stems. 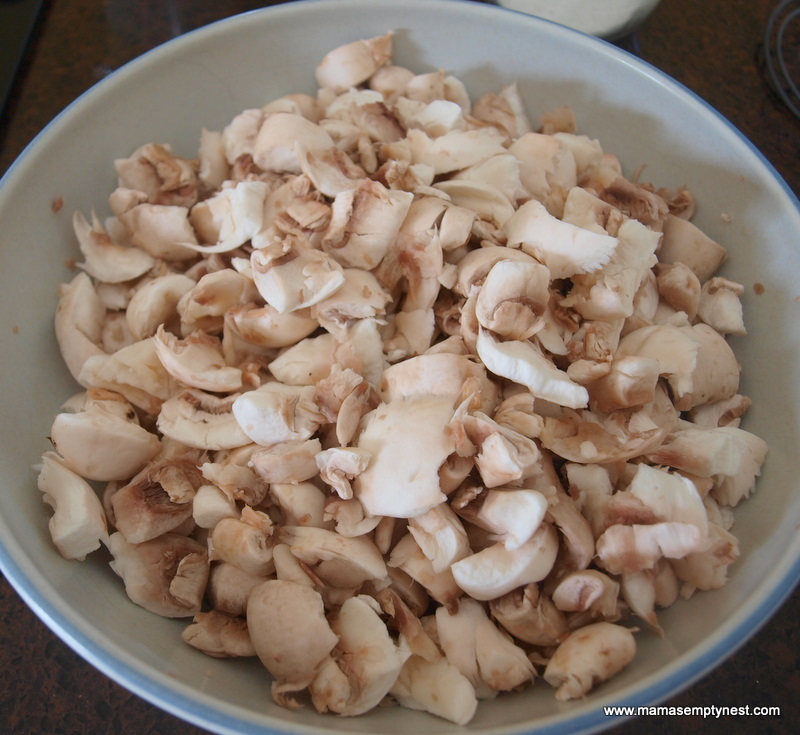 Break the mushrooms into pieces by tearing them into pieces with your fingers or cut into slices. Melt the butter in a skillet over medium heat. Add the mushrooms and garlic. 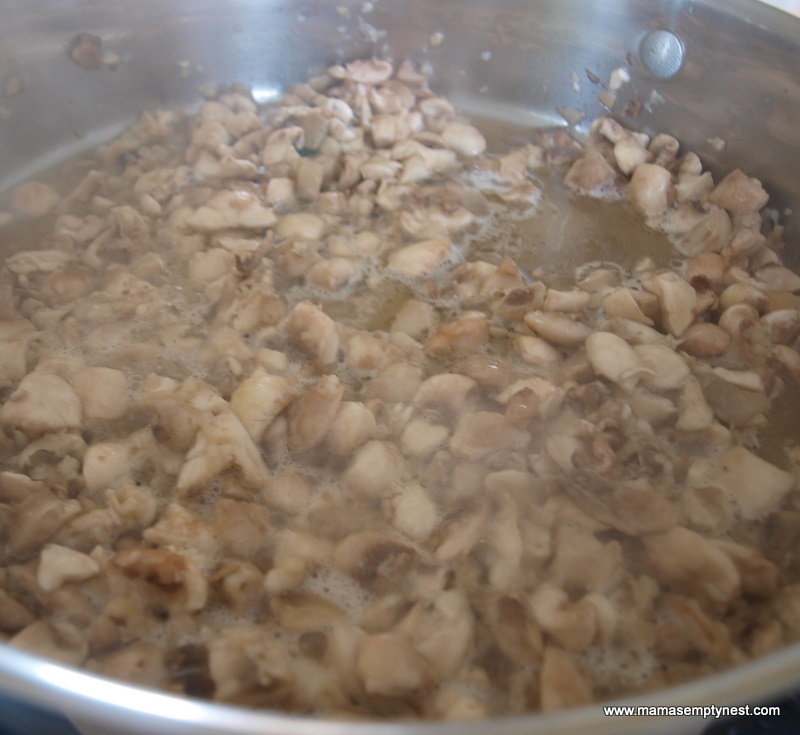 Sauté for about 6 minutes, stirring often, until the mushrooms are tender and have exuded their juices. Stir in the flour and cook for another minute. Slowly add the chicken stock, and bring to a simmer. Add the milk, half & half, or cream and continue to simmer, stirring often, while the soup thickens for about 10 to 15 minutes. Add salt and pepper to taste. 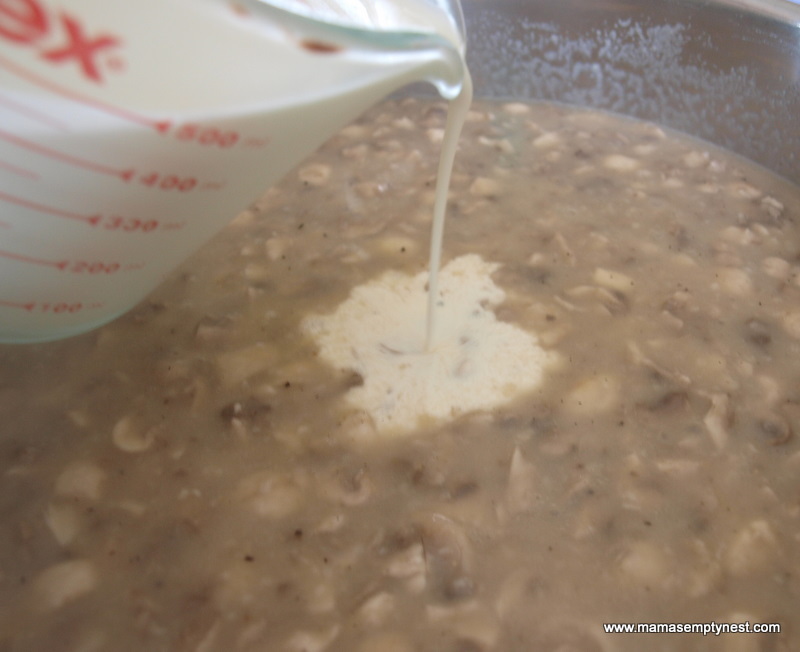 One recipe may be used as a substitue for one can condensed cream of mushroom soup. * All-purpose flour may be used if you do not need the soup to be gluten free. This entry was posted in Food & Home and tagged Gluten Free, Soups & Stews. Bookmark the permalink. Andrew makes really good cream of mushroom soup. I have know idea how he makes it because he usually makes it while I am at work. All I know is that is tastes really good on a cold winter evening. thanks for sharing. I will try making it myself. I make it to use in other recipes, but it is good on its own, too!